If it looks like Jane was absolutely swamped with Fidget Quilts….she was! The guild had a wonderful response to Jane’s call, at her January workshop, to make these embellished, textural lap quilts used to occupy the nervous hands of those suffering from dementia. The rough count was over 20 completed. 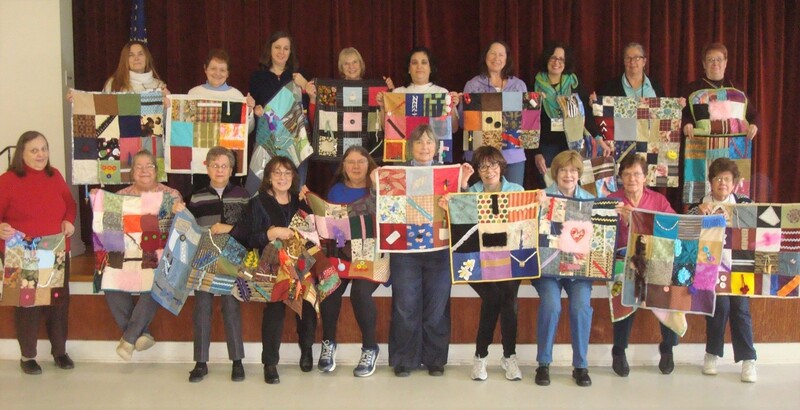 Some of the quilts will go to patients at Lavender Hill at Jenner’s Pond (the retirement community where Jane lives) and to the Veterans Hospital located in Coatesville, PA.